Aging is a part of life. Tailored To Each Patient's Individual Needs And Biochemistry. Dr. Gregory Sonn, DO has been practicing Medicine for 15 years and is dedicated to helping both men and women through their mid-life transition years to achieve optimum health and wellness. 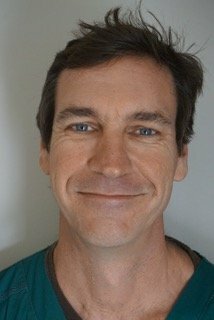 He believes that each patient is unique, requiring his or her own treatment that is different from anyone else’s. The typical approach to health care is to treat the symptoms that people have without getting to the root of their issues. The problem with this “Band-Aid” approach is that health issues are often masked, not allowing patients to reach maximum optimal health. Iona Health and Wellness uses an integrative approach to medicine. We offer age management medicine for women and men to optimize health. Dr. Sonn will evaluate you and tailor a patient-specific treatment plan to maximize your potential. Using evidence-based medicine, our diagnostic and treatment services are directed towards promoting health, not fighting disease. By treating the whole patient —body, mind, and spirit— we will help you to regain your focus energy and well-being. At our initial consultation, typically lasting more than an hour, we will review the symptoms you are suffering from in a manner which will make sense to you. Together we will determine what is the best approach to your complaints. To develop an individualized treatment there will likely be a need for hormone testing using saliva, urine, and or blood. With this approach you will feel empowered with knowledge that there are real answers to your health concerns. We will review all lab results, we will explain in great detail the physiology behind your symptoms, and will educate you regarding treatment options. It is important to note that there are many ways to treat common symptoms, and your input is the most important factor. 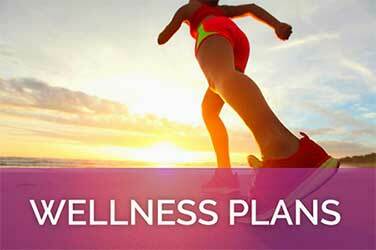 Together we at IONA HEALTH and WELLNESS will enable you to make educated decisions regarding your health. Because this process detailed above cannot fit into a traditional 15-minute doctor visit, we cannot accept insurance. We will work with your primary care physician to ensure that all of your providers are informed, and have input into your treatments. The above definition and its implications became the basis and focus of Iona Health and Wellness. Please join Dr. Sonn and his staff for your journey into health. Our focus is you. Iona Health and Wellness is a health care community centered around each and every patient. Our goal is to promote healthy living and a true commitment to primary prevention (disease prevention). Our goal is to reverse the aging clock to regain the vitality and strength of years past. It is not about how old you are, but about how young you feel. We are more than a doctor’s office; we are a family and a support system. I am a local Physician who graduated from Cypress Lake High School in Fort Myers. I hold a B.A. in Biology from Florida Atlantic University and my Doctor of Osteopathic Medicine from Kansas City University of Medical Biosciences. I am dual-boarded in Family Practice and Hospice and Palliative Medicine. After more than a decade of caring for patients who suffered and died from chronic diseases, it became clear to me that traditional medicine does not always cure disease, but instead only manages symptoms. I hope to enable you to maximize your own health.I am actively pursuing a Fellowship in Metabolic and Nutritional Medicine and have been an active member of the American Academy of Anti-Aging. 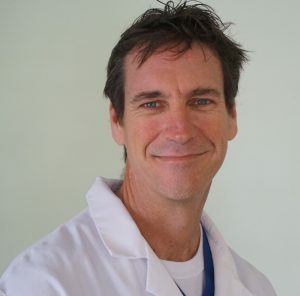 Dr. Gregory Sonn, DO has been practicing Integrative Medicine since 2003 and is dedicated to helping both men and women through their mid-life transition years to achieve optimum health and wellness. He believes that each patient is unique, requiring his or her own treatment that is different from anyone else’s. © Copyrights ionahealthandwellness 2017. All rights reserved. All information presented in this website is intended for informational purposes only and not for the purpose of rendering medical advice. Statements made on this website have not been evaluated by the Food and Drug Administration. The information contained herein is not intended to diagnose, treat, cure, or prevent any disease.